Alina Bachmann has been a friend and supporter of Orangutan Outreach since 2009. We first met Alina when she was an art student at the College of New Rochelle in New York. 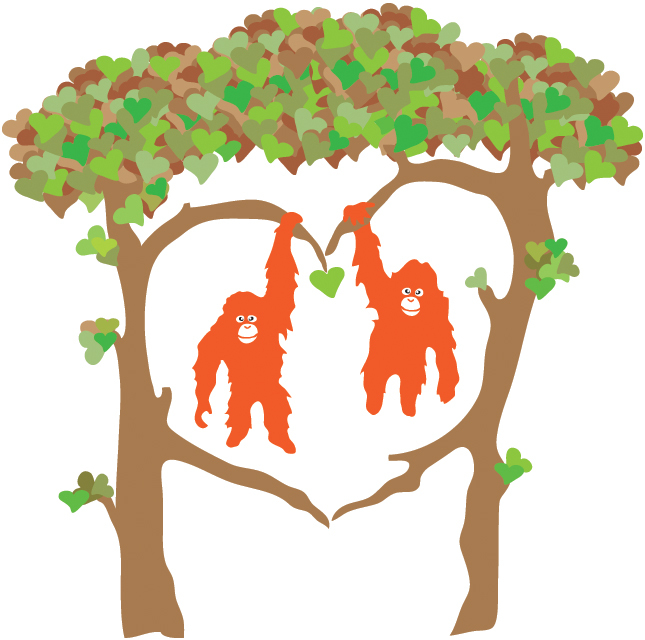 For her senior thesis project, she created a breathtaking installation called Person of the Forest. You can see some photos from the exhibition on Alina's Flickr Page. 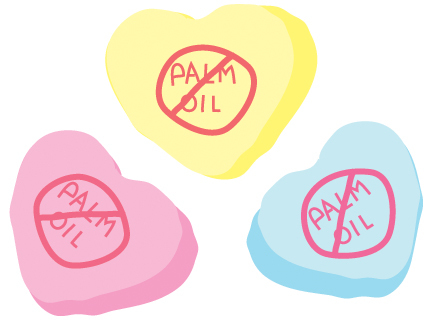 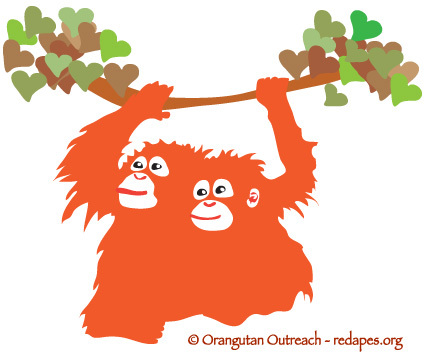 The room-size work dealt with orangutans and palm oil and literally left us speechless. 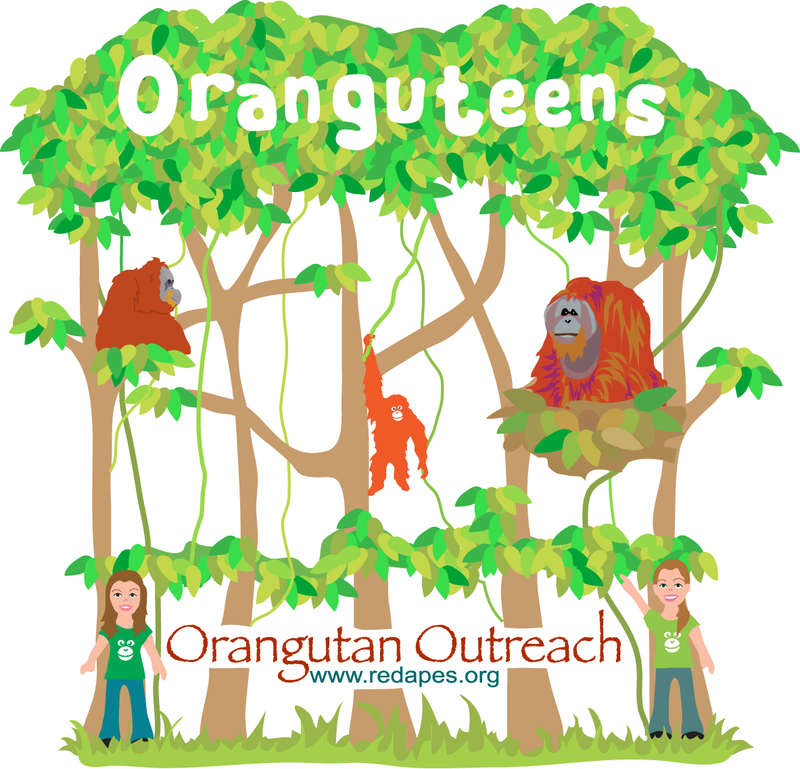 It featured trees made out of wrappers and boxes from foods and products which contain palm oil along with life-size hand-drawn orangutans and orangutan skeletons sitting in the trees. 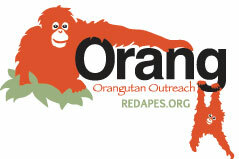 The installation will be on display at the Milwaukee County Zoo and we hope to see it in more zoos soon! 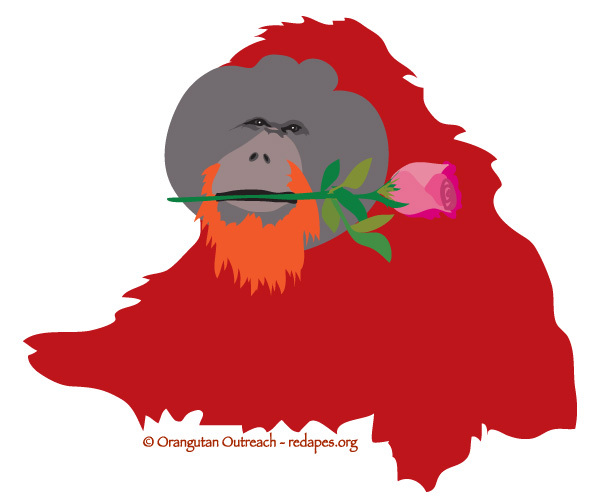 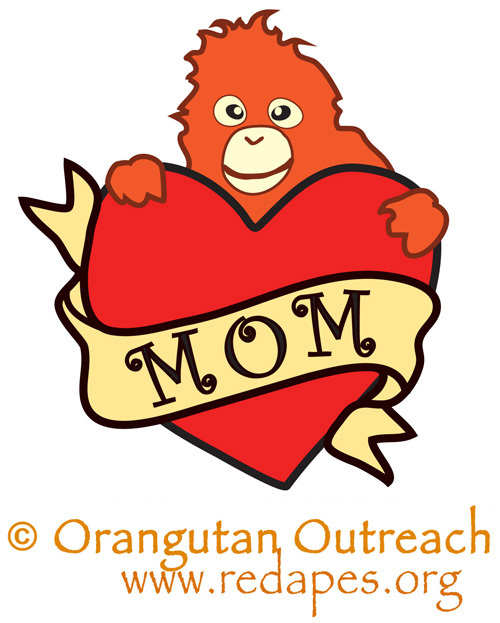 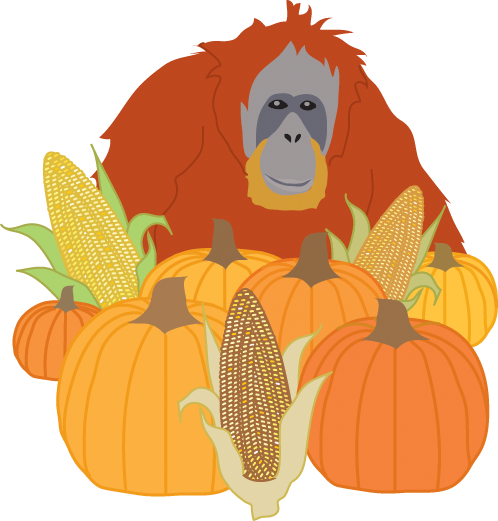 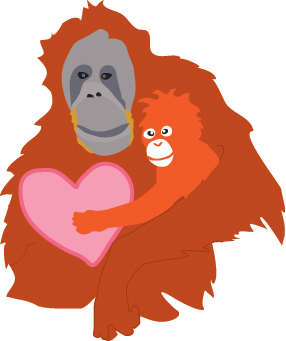 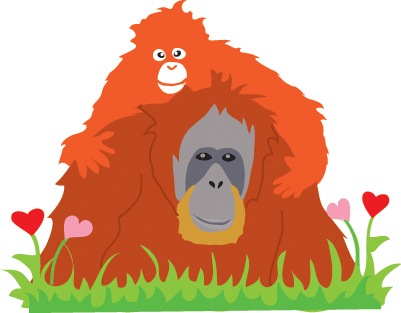 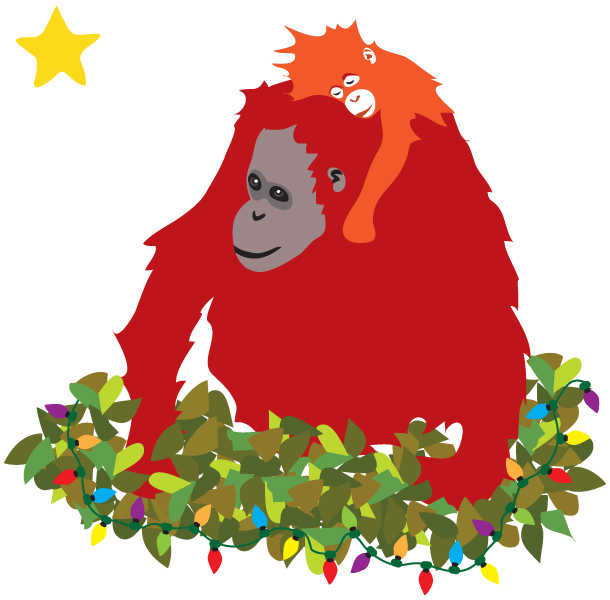 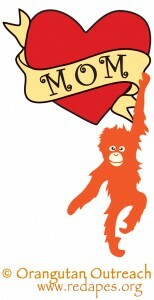 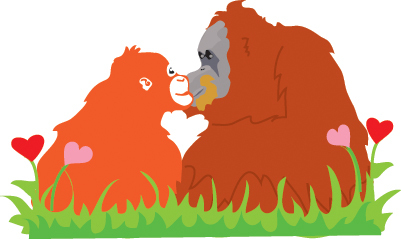 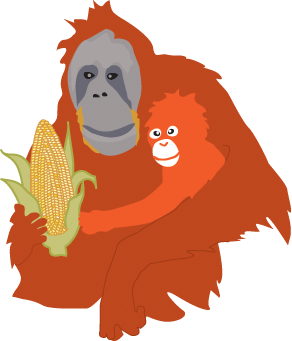 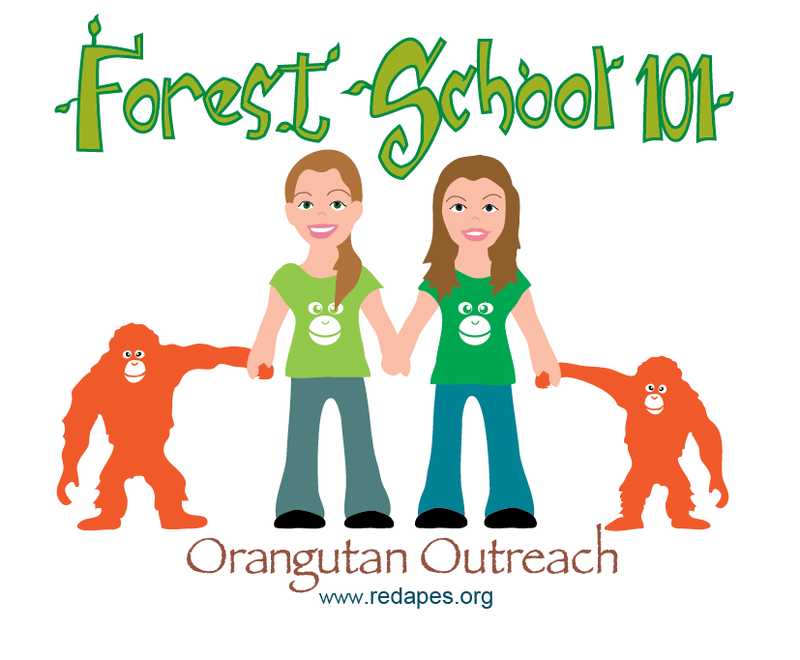 Alina has created several logos for Orangutan Outreach including our Forest School 101 and Oranguteens groups. 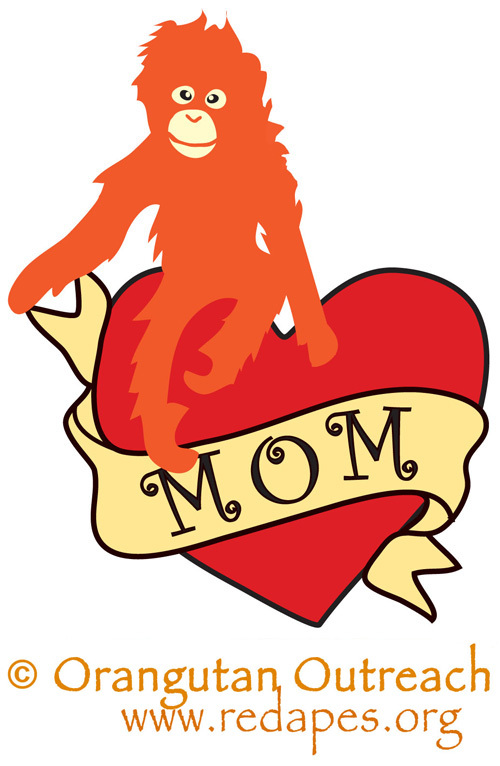 She also designed our mama & baby logo that is featured on our tee-shirts and hoodies. 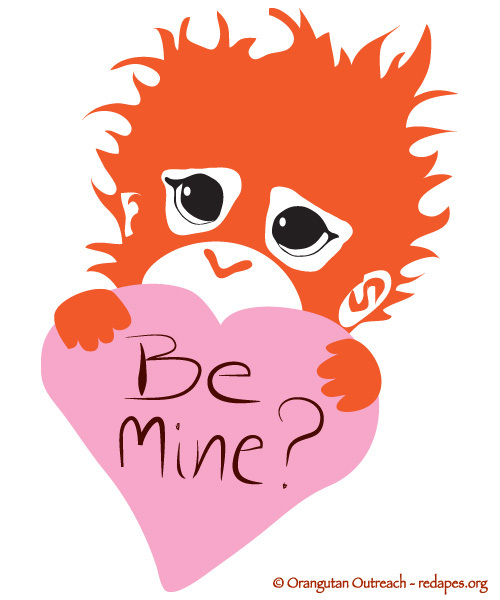 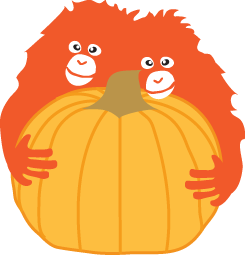 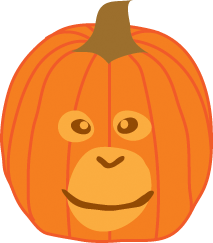 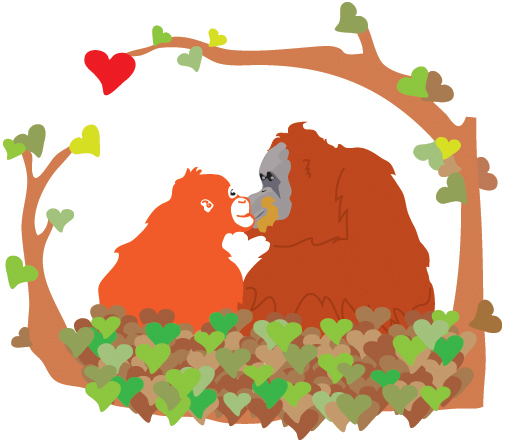 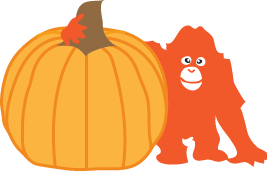 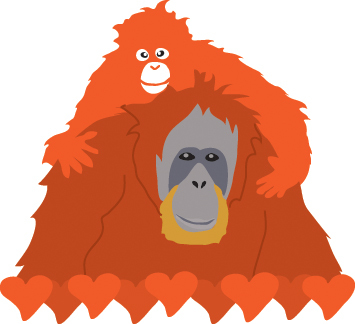 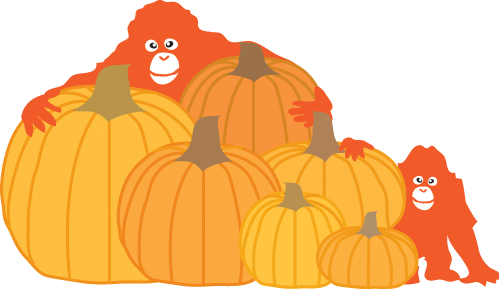 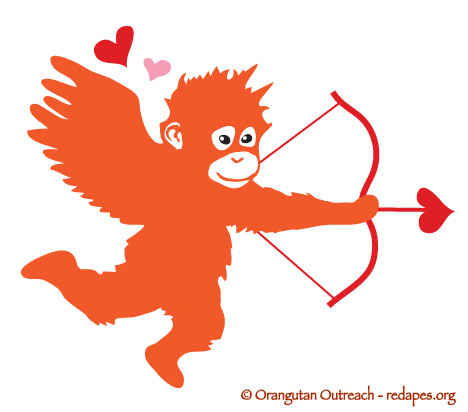 Alina also created several sets of orangutan drawings that we use on Halloween, Christmas and Valentines Day. You can see some of her work in the gallery below. 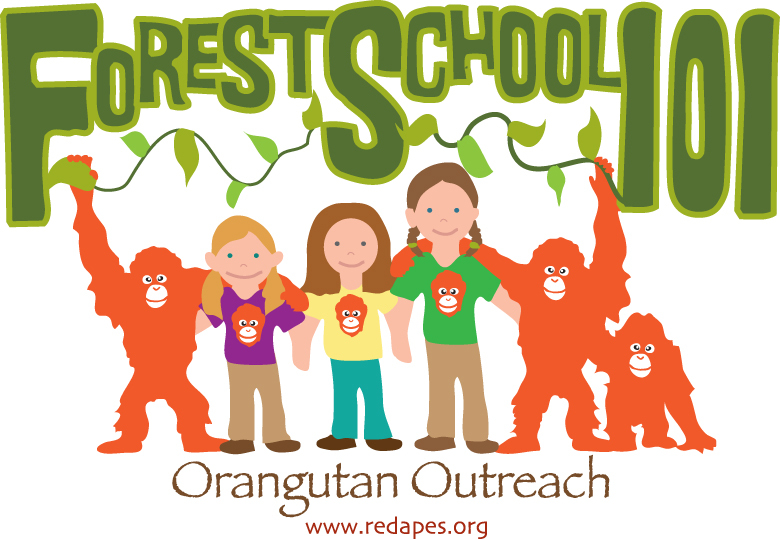 You can see these images and more on the Orangutan Outreach Pinterest Page. 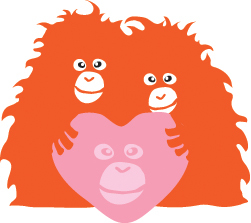 Learn more about Alina and see more of her amazing work on her website. 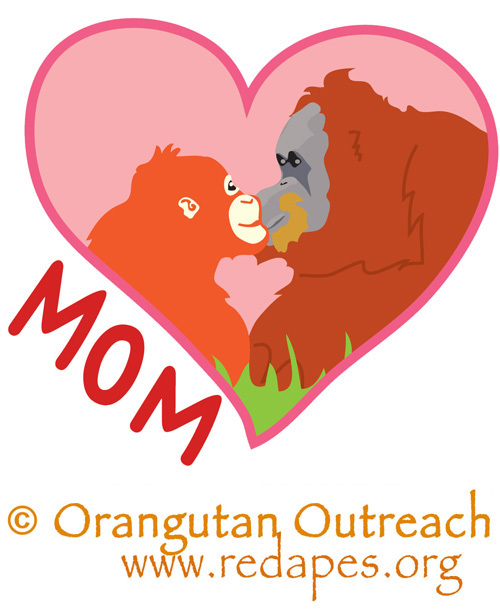 These images are the property of Alina Bachmann and Orangutan Outreach. 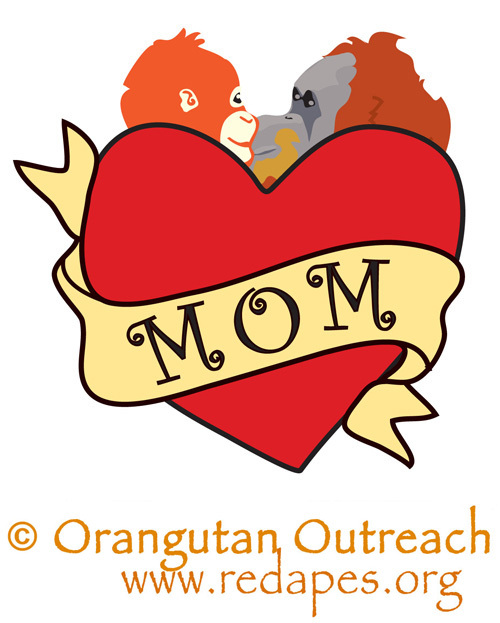 Please contact us if you would like to use them.